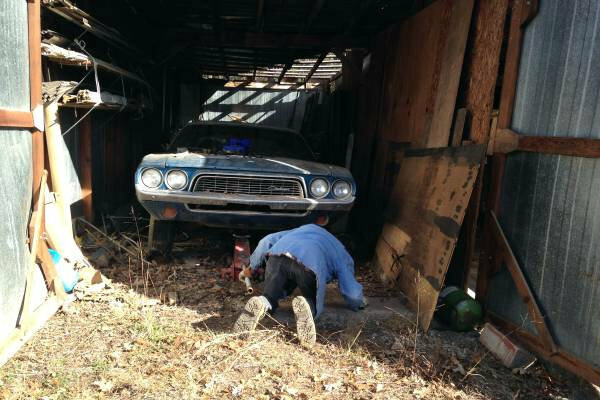 No, the photography isn’t great, but at least we know that this 1972 Dodge Challenger really was a Barn Find! It’s located in Waldo, Kansas and is listed for sale here on craigslist for $4,500. 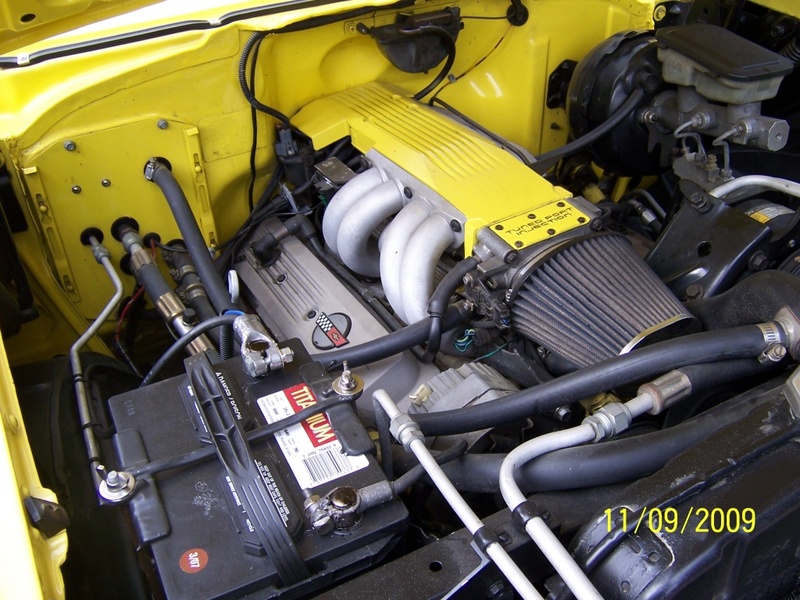 While I was hoping for a big block, with a 340 cubic inch V-8 this still won’t be a slow car! The Dodge Challenger was introduced as a partner to the Plymouth ‘Cuda, and is probably best known to our younger readers as the inspiration for the current “retro” Challenger currently offered by Dodge. Even though by 1972 some of the “oomph” was taken out of pony cars like this, they were still entertaining to drive. I remember watching and enjoying the Challengers at Mid-Ohio Trans Am races in the early 1970’s, so they can be made to go around corners, too. 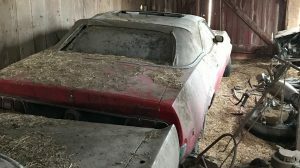 As you can see from this picture, the sellers were successful at extracting the Challenger from it’s resting place in the barn. Surprisingly to me, the ad states the car runs, although it’s not clear what work was necessary (if any) to get the car running. 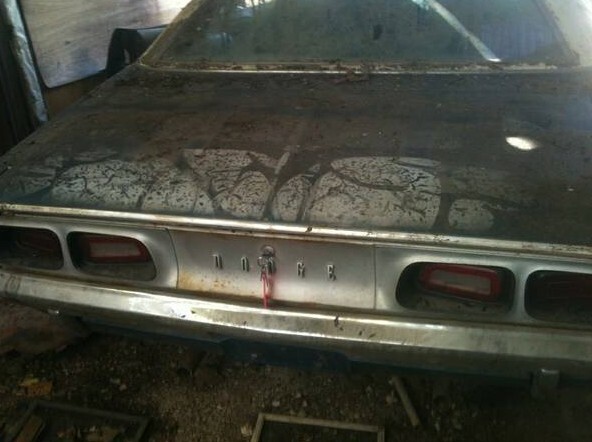 It looks like the car is relatively free of rust, although more details would be very welcome. I’m not sure if the white top is paint or vinyl; what do you think? I’m not really sure what’s going on with the paint on the rear–can anyone make out whether this is an intentional design or not? I think the rear panel was originally this silver, and as best as I can tell, the tail lights were originally angled like that. I’d rather see a four-speed rather than the current automatic, but for a running classic Mopar like this one I think I could be really happy at this price, especially if the interior isn’t too bad and the body really isn’t rusty. How about you? Roughly 2 1/2 to 3 hrs west of Topeka off I-70 according to MapQuest. I noticed that there is a lot of rust around the rear window. Could that be rust that has gotten under the vinyl top? That might answer the vinyl vs. paint question. Maybe a tear on the drivers side near the rear window? I had a chance to buy one of these as my first car. My Dad said no way, I would end up killing myself. He recommended that I buy a 68 Nova instead. The Challenger had the 340 auto similar to this car and I think it was either red or blue. The Nova was a SS and had a 327, I think, and a four speed. The Nova was white and didn’t “look” fast. It’s amazing what a few go fast parts can do to a 327. Heehee. No chance for a big block in ’72, they were dead by then.Of course, someone could have planted one in this over the years. 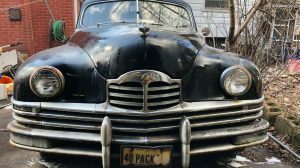 This just looks like an old tired car to me, so the price is probably right on. 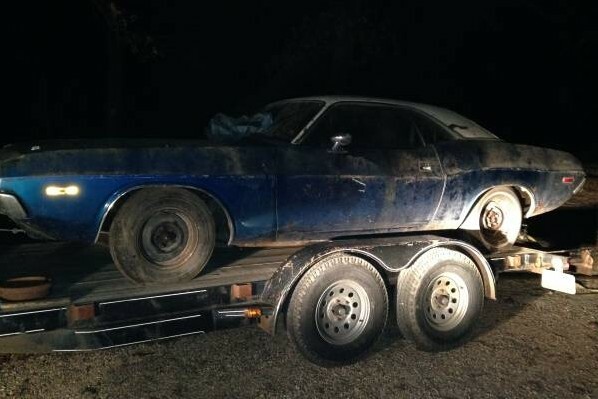 Even a ’72 340 will bring good money when restored. What do you call good money? $50+G’s to rebuild for a $35,000 return. Crazy low price for an E-body these days, would warrant closer inspection. You have to have all the numbers to be sure but, this example has a lot of earmarks of a 318 car. No rally wheels, non-rally dash, flat hood. It just looks like a 318 car to me but as I said, the numbers will tell the true story. I would say the paint on the trunk is from years of having something laying on it, like a canvas trap or something, I have seen patterns like that on some that I have gone an looked at in some old barns. I think he’s got Waldo trapped underneath! 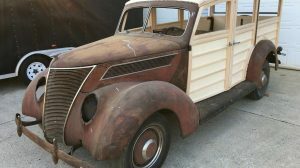 After checking out all the photos posted on the Seller’s Craigslist listing, this car needs a ton of work: floor pans…dash & complete interior, trunk floor pan, hood repair/replacement…and who knows what the condition the chassis components, suspension, and frame structure are in. 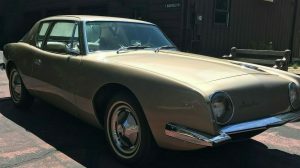 This car would require a body-off resto, if possible, and not being able to qualify for real “muscle-car” status with it’s unknown V8 and A/T, a complete restoration would definitely cost nearly triple the car’s value upon completion. Not a project car for the “faint-of -heart”, weekend enthusiast, or limited budget! Good Luck! Paint it white & get some “uppers” for the cross country drive ala Kowalski in Vanishing Point. Yes Please! !